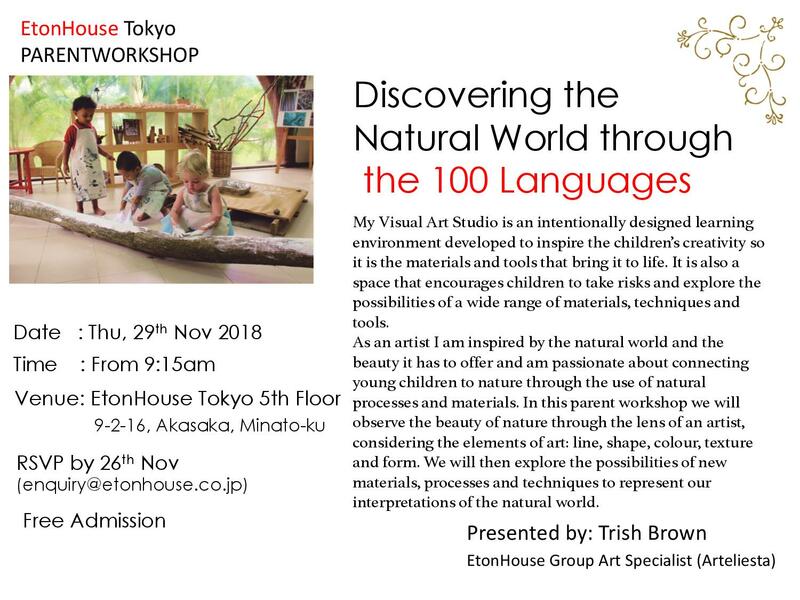 Tina Stephenson is the Executive Director of Pedagogy for Etonhouse Education Group, and the Director of Reggio Emilia in Asia for Children (REACH) which is the official representative of Reggio Children in Asia. She is also Principal at the Newton Campus for EtonHouse which is an IB PYP school. Tina is originally Canadian but now identifies as an Asian expat after ~20 years in Asia Pacific. She has an M.Ed. in Teaching & Learning (with Distinction) is also currently completing a Carnegie Mellon Doctorate in International Educational Leadership at the University of Western Ontario in Canada. Her career in Asia began in Hong Kong in 2002 as the Principal of the faculty kindergarten at the Hong Kong University of Science and Technology. For the last 10 years, she has been an active contributor to popular and academic publications, in Canada and Asia, on a range of behavioral and education issues.While in Hong Kong, she worked as Senior Lecturer for Middlesex University London and Open University Hong Kong in teacher qualification granting programmes including their Honours B.A. in Early Childhood Studies – the only bachelor’s degree in education from a foreign institution fully-accredited in Hong Kong. She is married to the Physics Teacher and IGCSE Coordinator for EtonHouse Broadrick, and her 6 year old son also attends EtonHouse, she is happy to be an EtonHouse family. 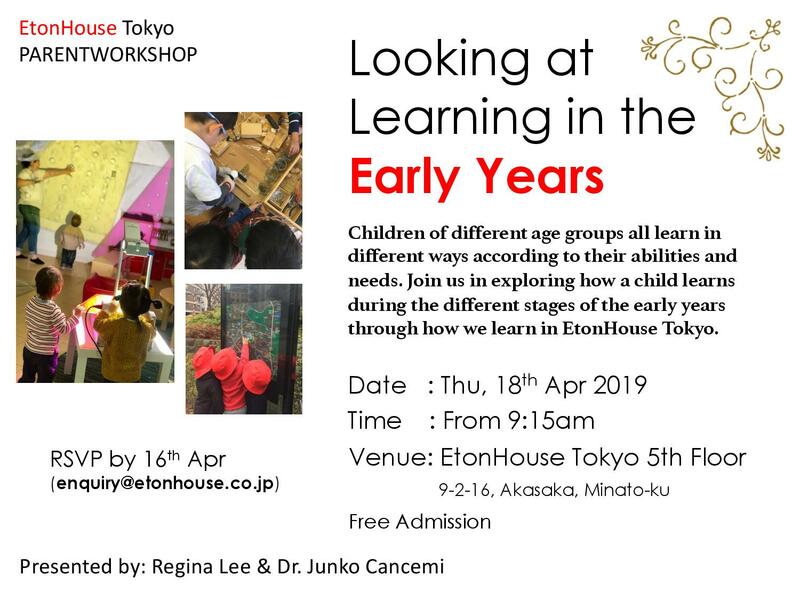 Her engagement in the field of Early Childhood Education in an international school context spans 30 years in Japan, with work experiences in both teaching and leadership roles. She received her Doctorate of Education, EdD from the University of Bath, UK. Her research interest rests with how children learn from a social constructivist perspective with an unyielding belief in the capabilities of young children. She continues to seek and to be inspired by the fresh outlook of the minds and messages of children, and how they might help adults to reframe “worlds” and “words” to construct spaces for learning for speakers of every conceivable language and for each encounter across the life span. Originally from Indonesia and bred in Australia, Regina grew up in a trilingual environment. She believes in the importance of picking up one or more foreign languages from early age as it helps develop cognitive skills and helps brain development. As an educator with more than 10 years of experience, she has a strong belief that teachers are lifelong learners and we can always learn from people of all ages including young children.